Not everybody needs a garage, but don’t let this space go to waste! There are an infinite number of alternative uses for your garage that you may never have though of. So if you’re thinking of transforming your space, consider some of the following ideas. Perhaps you’re an artist or a carpenter looking for a place you’re okay with getting a little messy. You can feel free to splatter paint and scatter sawdust on your garage studio’s concrete flooring, without worrying about tracking it all over the carpet or even necessarily about cleaning it up. After all, a rainbow of paint on the floor never hurt anyone! 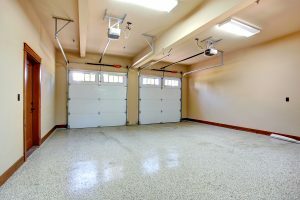 Some men may already consider the garage their domain if they’re car or power tool enthusiasts, but why not bring a little comfort to the space? Get a cozy leather couch, a plush rug and a big screen TV and move on in. And of course, don’t forget the bar and the foosball table; you’ll have the perfect space for the guys to just chill. Whether you work from home on a daily basis or not, an office is a great room to have if you’ve got the space. Outfitted with wooden floors or carpeting and painted in your “power color,” a garage office is secluded and perfect for productivity. Best of all, when you get stressed or overwhelmed, you can open up the garage door and, quite literally, get a breath of fresh air to calm your nerves. There are countless uses for garages that have nothing to do with housing cars. If you’re looking for an alternative, just get a little creative. And don’t forget to accent your revamped space with a stunning and functional garage door from Raynor. We proudly serve the entire Kansas City area, so give us a call today at (913) 766-2366. We look forward to hearing from you!